On 14 – 15 November, 2016 Riga hosted an international conference “Exploitative Sham Marriages: Exploring the Links between Trafficking in Human Beings and Sham Marriages” where findings and best practise acquired during the implementation of the HESTIA Project “Preventing human trafficking and sham marriages: A multidisciplinary solution” were presented and shared. 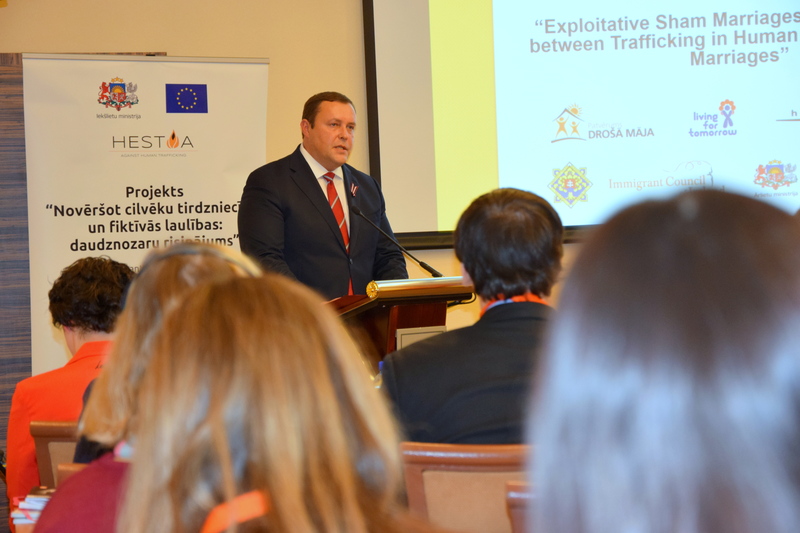 In total 60 experts representing various professional anti-trafficking areas from Latvia, Lithuania, Estonia, Finland, Ireland, the Slovak Republic, Cyprus, Portugal, Greece, the Czech Republic, Austria, Germany, Norway and the Council of the Baltic Sea States participated. During the opening of the conference Mr Kozlovskis presented the award “Goda raksts” of the Ministry of the Interior of the Republic of Latvia to Ms Vija Buša, Advisor of the Planning Group of the Ministry of Foreign Affairs of the Republic of Latvia, a former Advisor at the Embassy of the Republic of Latvia in Ireland for her exceptional commitment to provide interests and needs of Latvian citizens who had become victims of trafficking in human beings in Ireland, provision of efficient inter-institutional cooperation and making topical an issue of sham marriages which had provided grounds for implementation of the HESTIA Project. 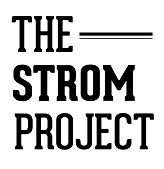 *The Project is coordinated by the Ministry of the Interior (Latvia). Project partners: NGO "Shelter ‘Safe House’" (Latvia), NGO "Living for Tomorrow" (Estonia); NGO "Caritas Lithuania" (Lithuania); Immigrant Council of Ireland (Ireland); Ministry of the Interior of Slovak Republic (Slovakia); European Institute for Crime Prevention and Control of the United Nations (HEUNI) (Finland). Associated Project partners: The State Police (Latvia), Ministry of Foreign Affairs (Latvia), Department of Justice and Equality (Ireland).